After years of decline, the number of deaths on American streets are starting to rise again, a troubling statistic for many cities that are working hard to get more people walking and biking. Now Los Angeles’s Department of Transportation (LADOT) is trying something new: Enlisting a sound artist to bring attention to the city’s traffic deaths. In his role as LADOT’s artist-in-residence, Alan Nakagawa will specifically focus on LA’s Vision Zero plan, an international movement to reduce traffic deaths to zero. An avid cyclist, Nakagawa has long been immersed in transportation culture as a studio artist who has worked with the public art department in LA’s transit agency, Metro, for over 25 years. His goal is to focus on the neighborhoods affected most by traffic deaths, and use a very targeted approach for every neighborhood that takes cultural nuances into consideration. Nakagawa says he’ll explore what he calls a “regional vernacular” that determines how people use LA’s streets. For example, Central American communities might share bikes informally within their own neighborhoods, while others lock their bikes up inside. “We have our own cultural differences due to migrants in Southern California, which is another level of mobility to navigate,” he told Gizmodo. In addition to his work in sound and public art, Nagakawa is trained as an oral historian. His first task will be applying this approach to LADOT, interviewing its safety engineers and transportation planners in the same way he has documented the lives of artists and historical figures. Connecting artists with city agencies to serve as urban visionaries who can help tackle civic problems has become a popular trend in cities around the world. San Francisco has famously installed artists in its waste management center since 1990, for example. New York City’s DOT has also worked with artists to create awareness around pedestrian safety. But this is the first artist-in-residence in a US city that will be explicitly focused on Vision Zero. What struck me about Nakagawa’s proposal is that it’s the first time I’ve ever heard someone address the fact that how we use our streets varies due to the culture in which we were raised. 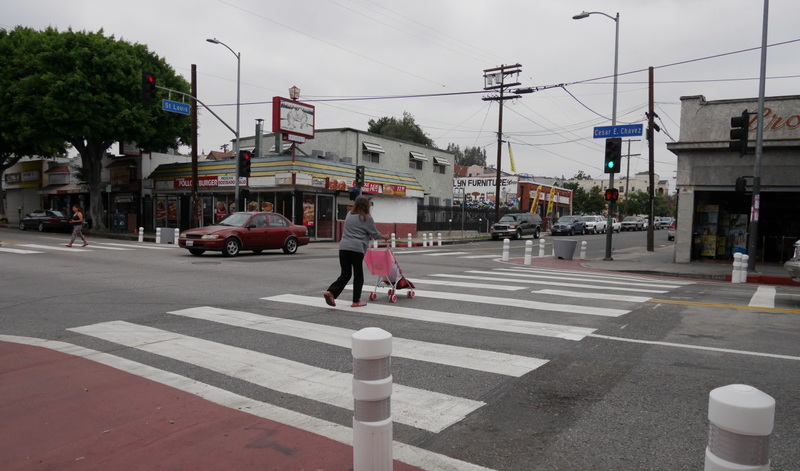 This is an incredibly smart approach in a place like LA, because how you talk about Vision Zero to a primarily Latino community in Boyle Heights will be different from how you’ll talk about it in Chinatown or Little Bangladesh. It’s a challenge just to create signage in a city where over 200 languages are used. In a way, Nakagawa said, what he really needs is a kind of real-time translating app that can help guide people through the streets. In addition to all these projects, Nakagawa also has a vision to make LADOT part of the local art community. His plan is to take a ground-floor space in LADOT’s headquarters and turn it into a public gathering space for art, programming it with work by local artists and opening it up during the monthly art walk that happens in the neighborhoods around it. This might be one of Nakagawa’s biggest challenges as it’s not considered to be the friendliest location—the imposing Caltrans building it’s housed in is known as the Death Star. As one of his first orders of business, Nakagawa is determined to get that nickname changed to honor a more appropriate vehicle in the Star Wars universe.